That's a nice one, Mistress Mayfair! 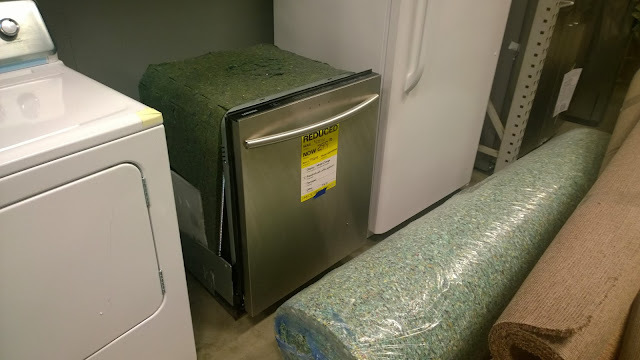 We ordered a stainless steel fridge ... I've never had stainless anything before. Hope it's easy to keep clean! I have a stainless steel sink. I loathe it, as it is impossible to keep clean. Thought that looked like a Lowe's scratch-and-dent aisle. Haven't I been confronted by it enough times coming out of the back after putting on my red vest?